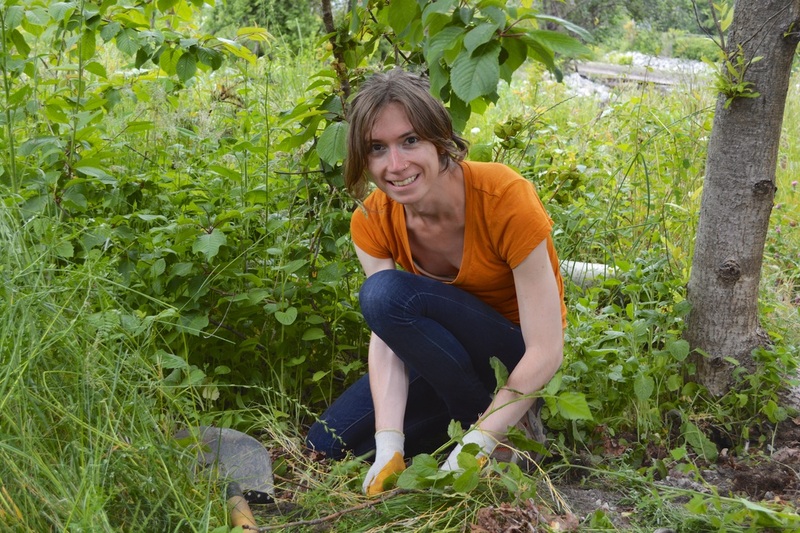 Riparian areas are necessary in maintaining stream health and functioning. They provide shade during warm summer months, which reduces in-stream temperatures and creates a cool micro-climate necessary for fish health and wellness. 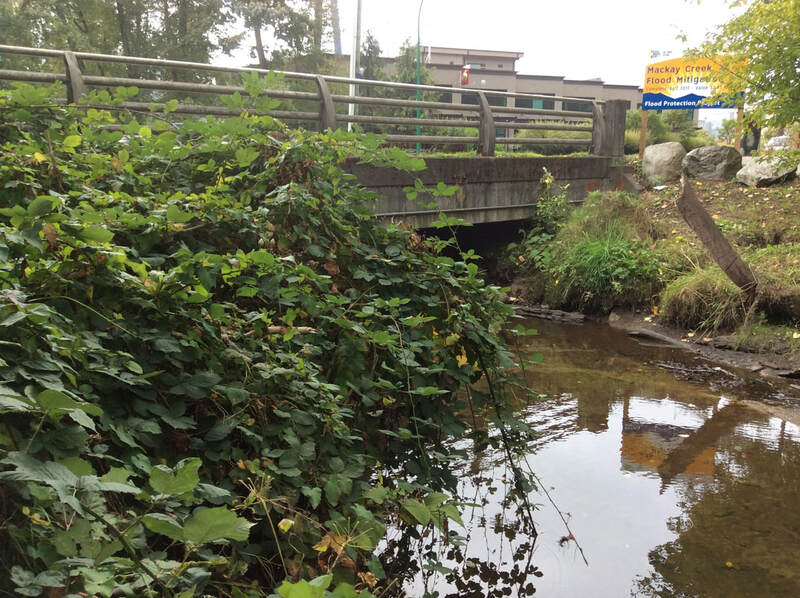 The riparian zone also acts as a filtration system to remove urban runoff, chemicals and pollutants before they contaminate waterways. 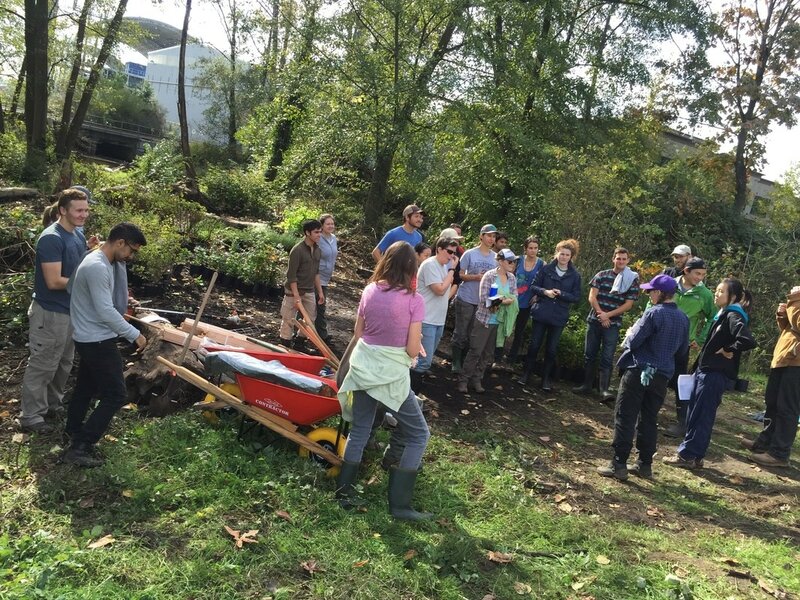 Healthy plant communities aide in providing bank stabilization through provision of root cohesion, which prevents excess amounts of sediment from entering the stream. 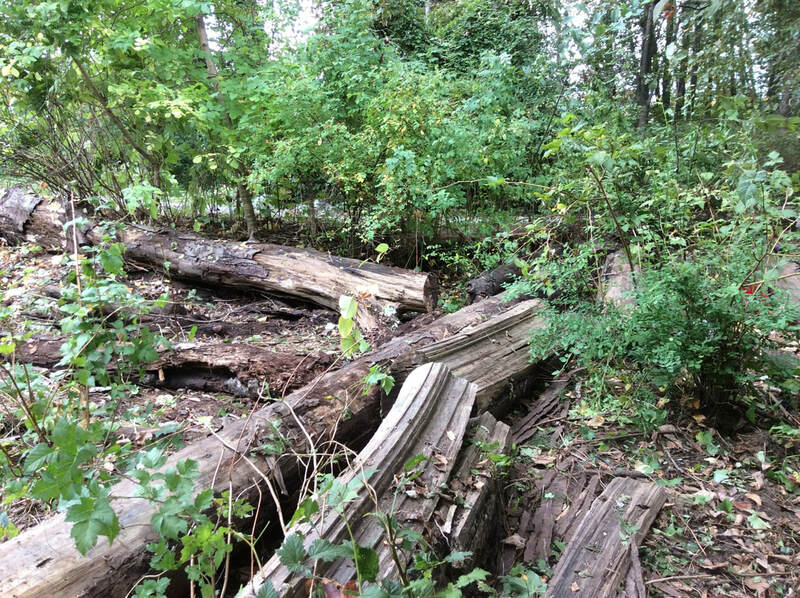 In addition, stream-side vegetation provides food and habitat complexity for the aquatic ecosystem, as leaves, branches, and large wood often fall into the stream. 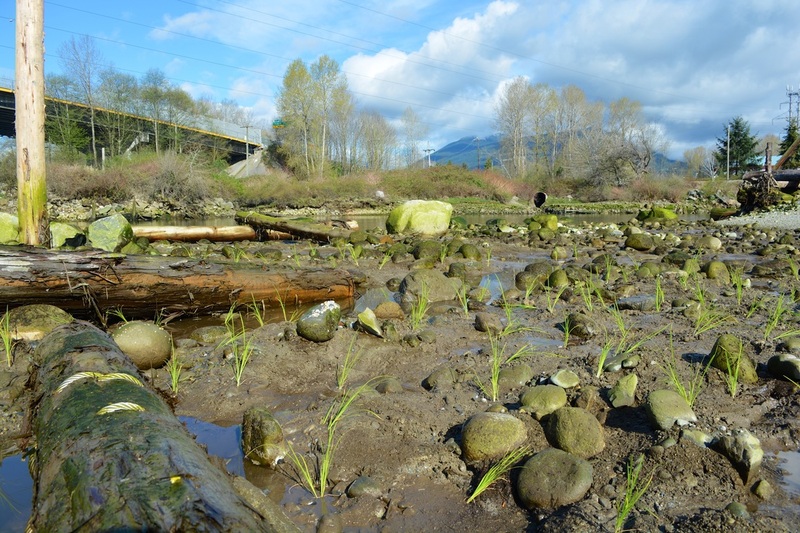 In the summer of 2015, Echo Ecological began working on a restoration project at MacKay Creek in North Vancouver, upstream of where initial estuary work had been completed through 2013-2015. 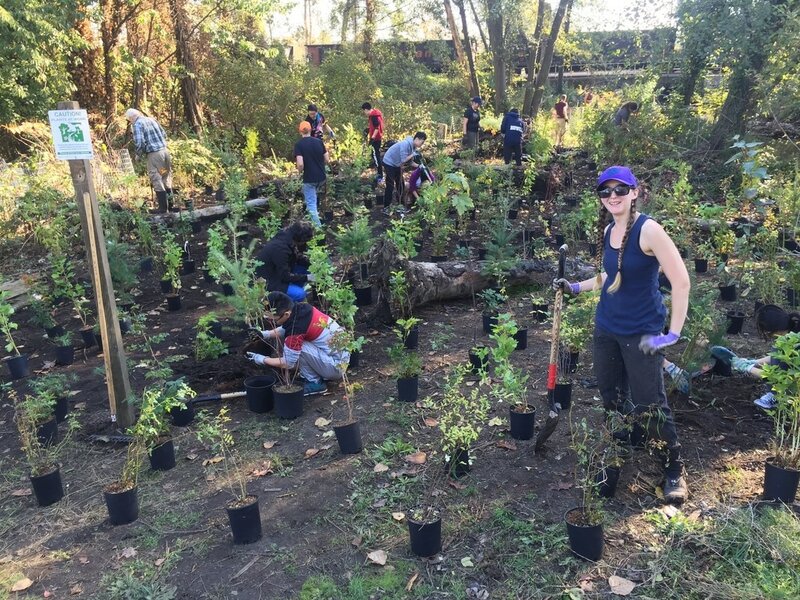 This project focused on restoring the riparian zone surrounding MacKay Creek by removing the dense coverage of invasive species and re-planting the area with native vegetation. 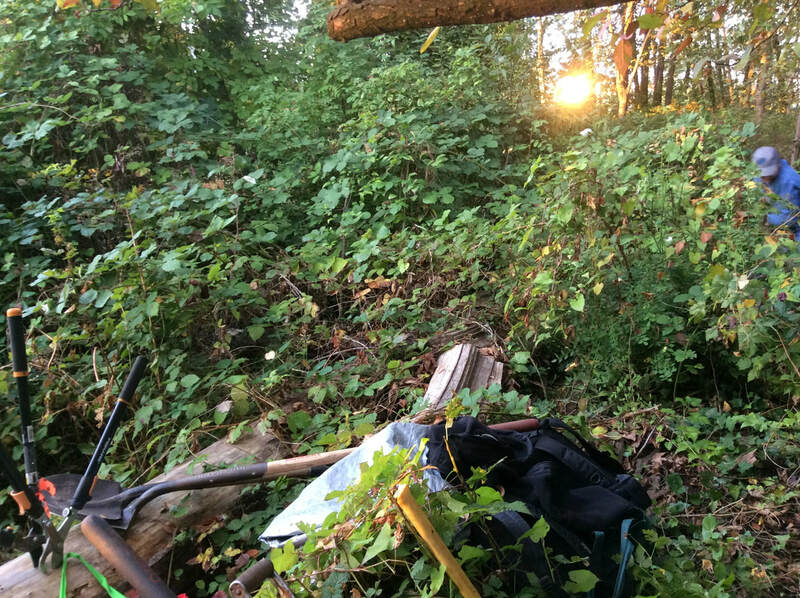 This area had been significantly disturbed, and was been used as a dump site for many years. 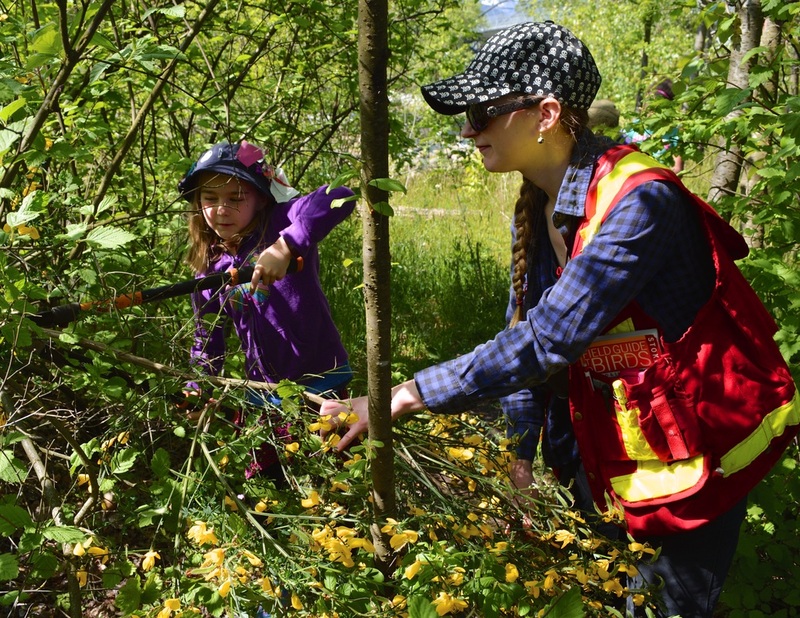 Even though it was adjacent to the highly used North Shore Spirit Trail, it had been overlooked by the community and had become overgrown with a myriad of invasive plants. 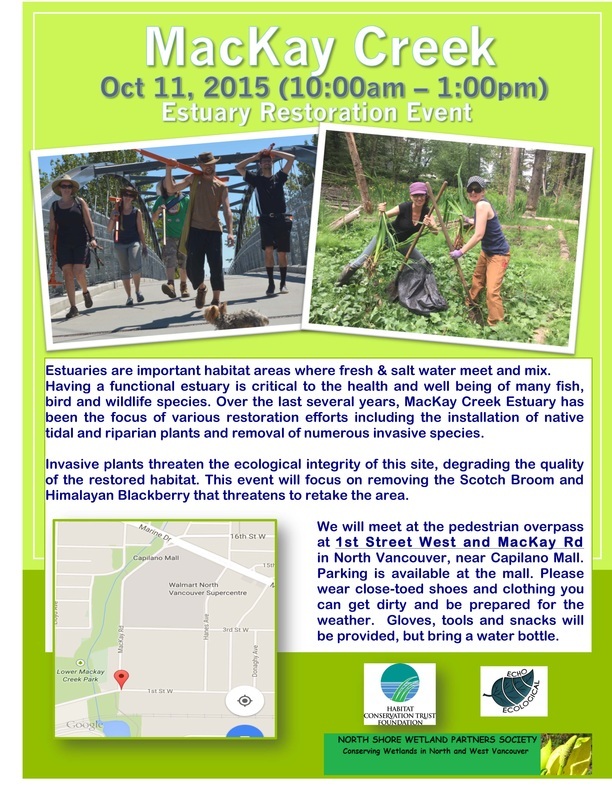 This project worked in conjunction with another very prominent estuary restoration project that occurred along MacKay Creek in 2013/14 that was funded in part by the Habitat Conservation Trust Foundation. 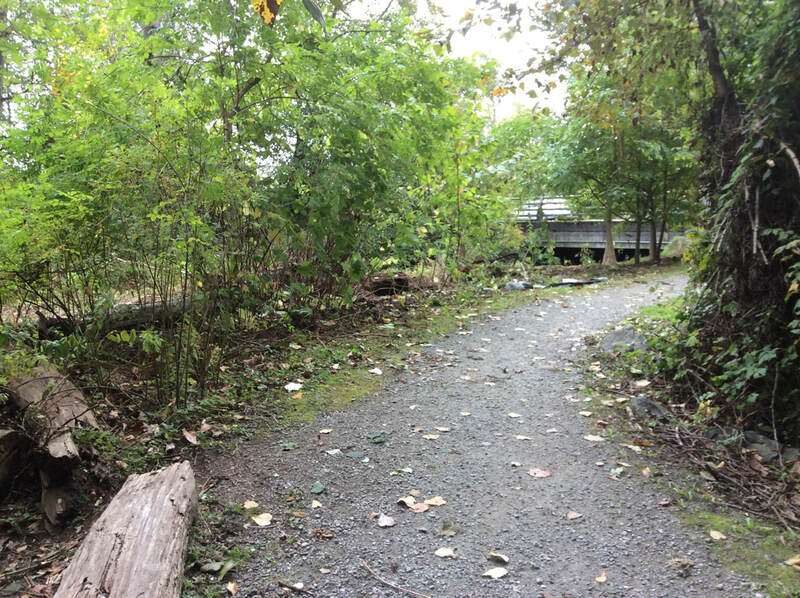 MacKay creek runs along the Kings Mill Walk, the North Shore Spirit Trail and Lower MacKay Creek Park, and multitudes of people utilize these amenities on a daily basis for biking, dog walking, wildlife viewing and recreation. 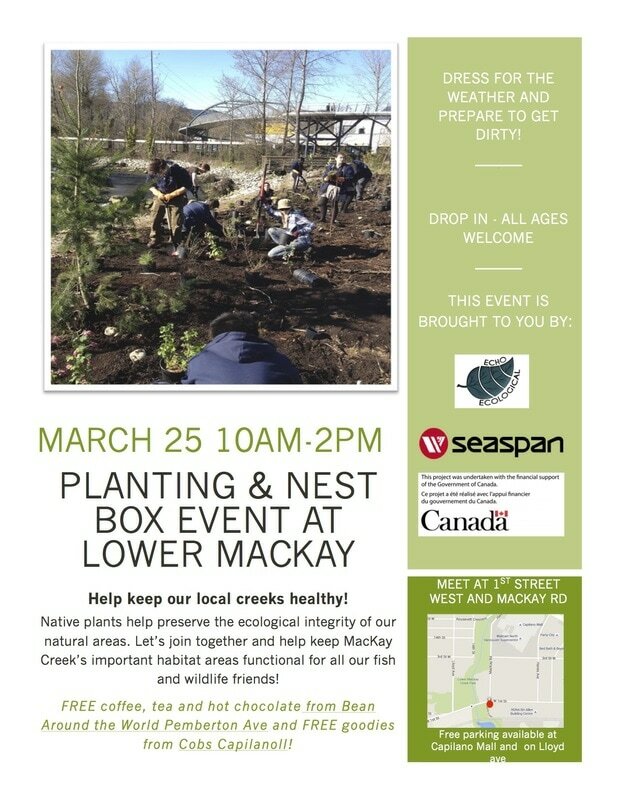 MacKay Creek is also a prominent salmon spawning and rearing channel on the North Shore. 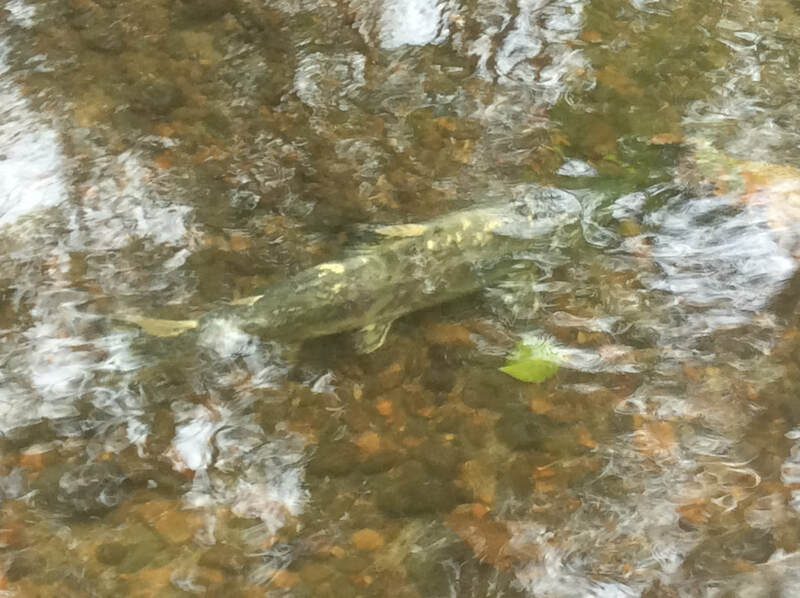 Chum (Oncorhynchus keta), Coho (Oncorhynchus kisutch) and Pink salmon (Oncorhynchus gorbuscha) utilize this creek and have been increasing their returns since the weir was removed from the estuary in 2013. 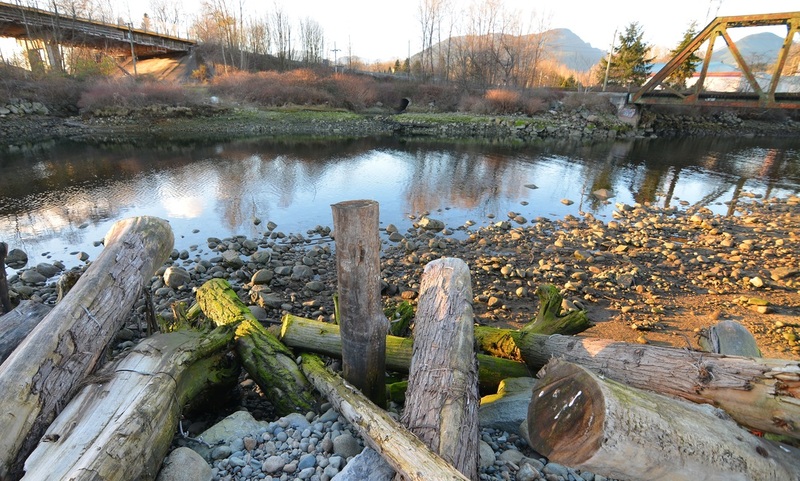 The goal of this project was to help maintain the health of the previously restored estuary, thus enhancing the area for both the community and wildlife species. 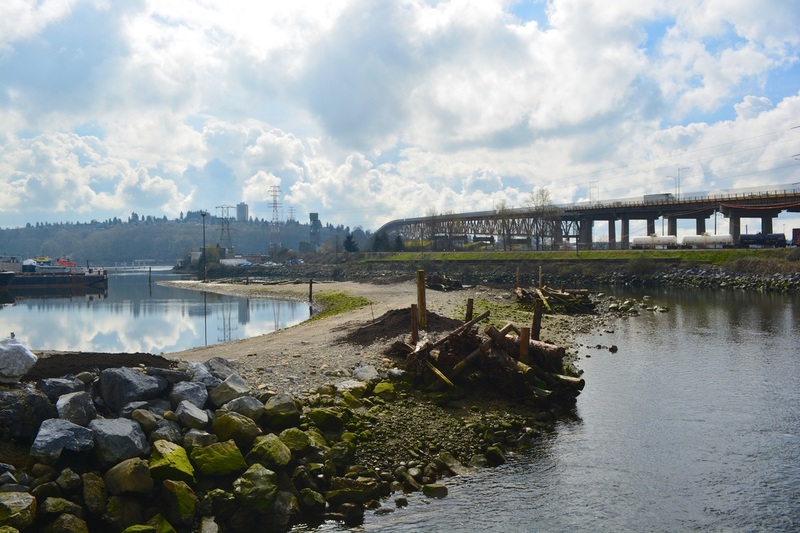 This site had previously been significantly degraded due to encroachment from waterfront heavy industry and upland urban development. 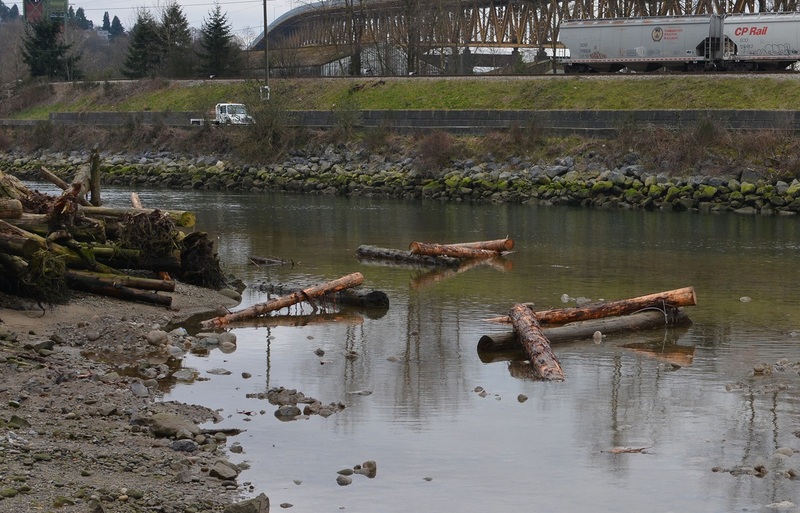 The riparian area along the banks of MacKay Creek had been overrun by invasive species, resulting in poor habitat and little cover for in-stream salmonid populations. 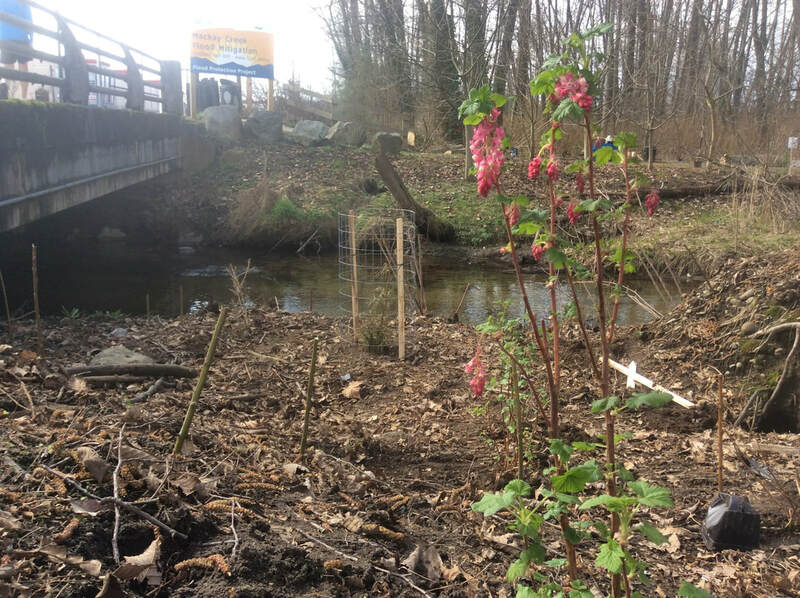 This project’s goal was to restore the riparian area surrounding MacKay Creek so that it would support habitat for salmonid populations and other estuarine and riparian wildlife species. 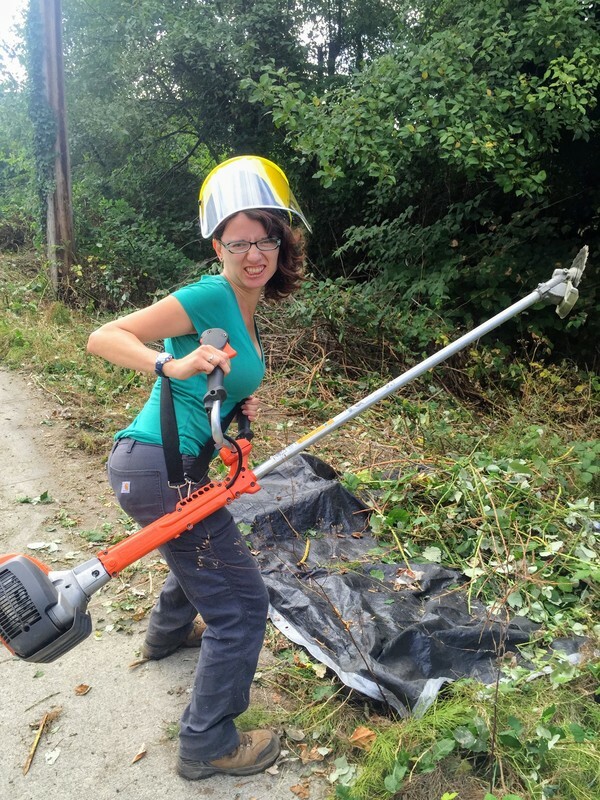 From June to November 2015, we conducted and preformed invasive vegetation removal manually using small mechanical tools and hand tools such as brush cutters, shovels and rakes to minimize the impact to birds and wildlife present in the area. 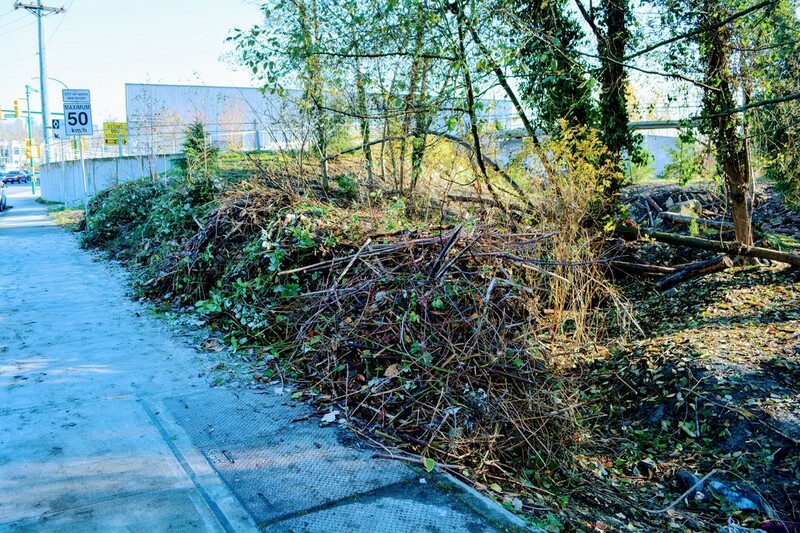 The project area was completely inundated with several invasive vegetative species including Himalayan blackberry (Rubus armeniacus), English ivy (Hedera helix), Japanese knotweed (Fallopia japonica) and field bindweed (Convolvulus arvensis). 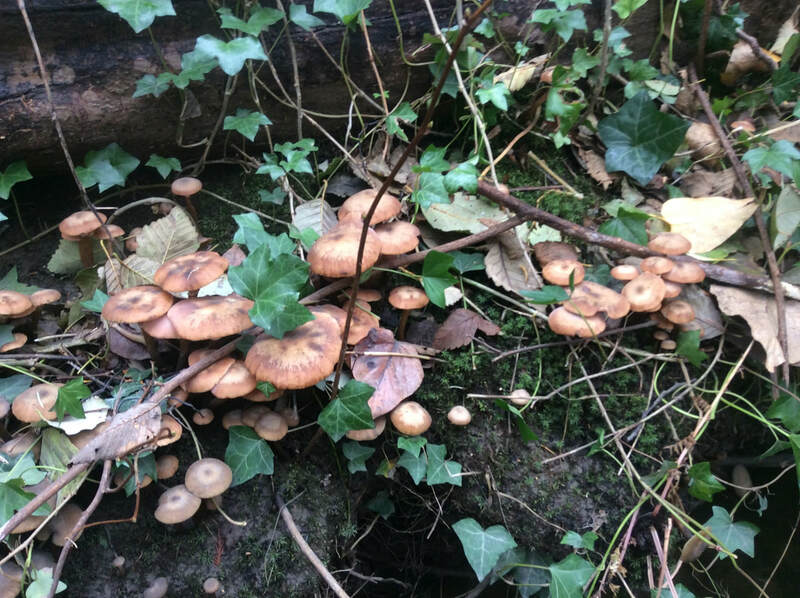 These species are detrimental to riparian areas as they disrupt natural ecosystem processes by out-competing native vegetation, creating a monoculture which reduces the overall biodiversity of the area. 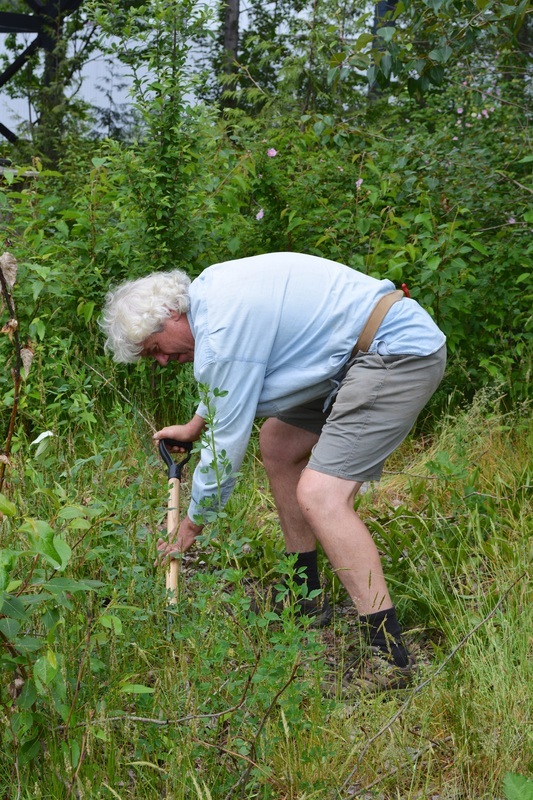 A small patch of introduced giant hogweed (Heracleum mantegazzianum) was also found on site. 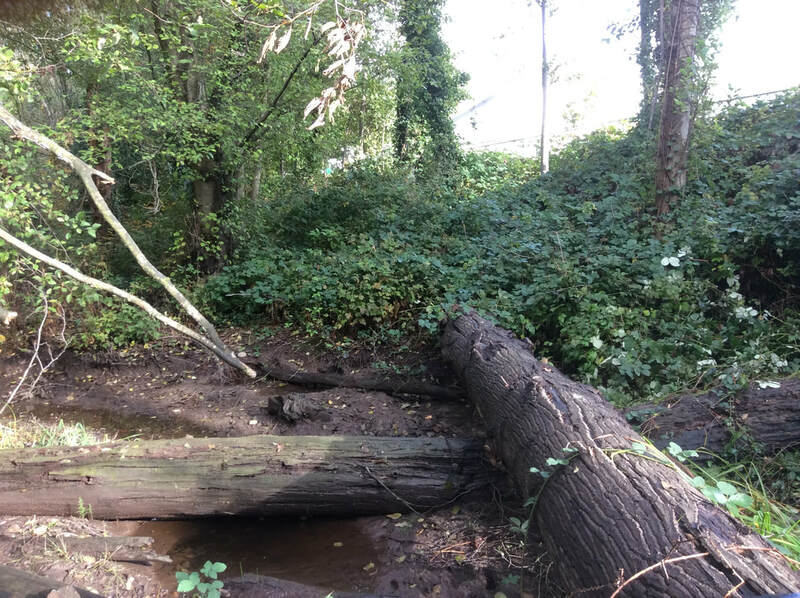 This was particularly concerning for wildlife and human health as the sap of giant hogweed contains photosensitive chemicals that can cause permanent and painful rashes if it comes into contact with exposed skin. 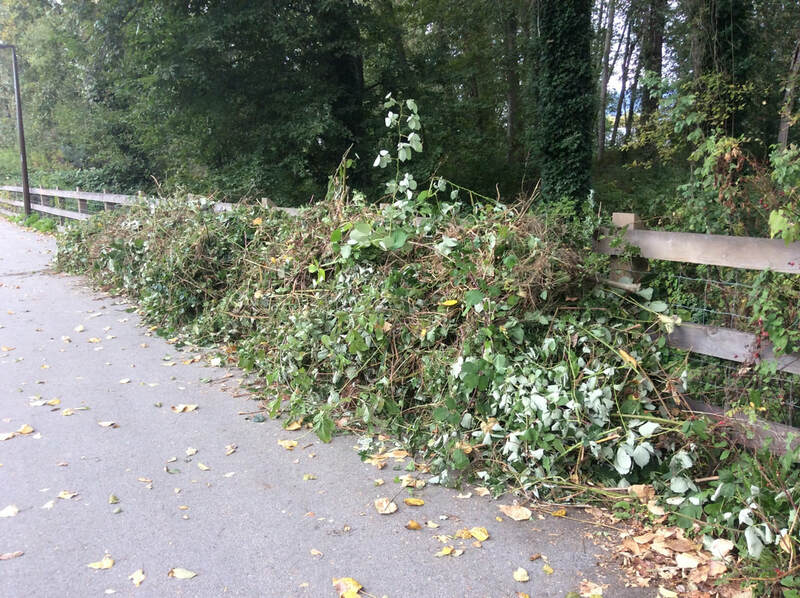 A total of 870 m3 of invasive vegetative matter, including leaves, stems and roots were removed from the project area. 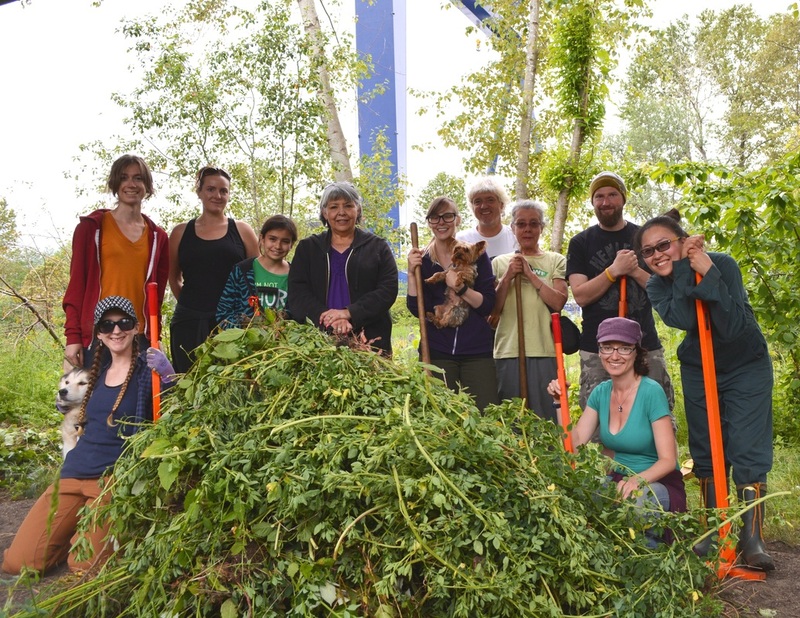 Ten truckloads of vegetation were taken off-site for high-heat composting. 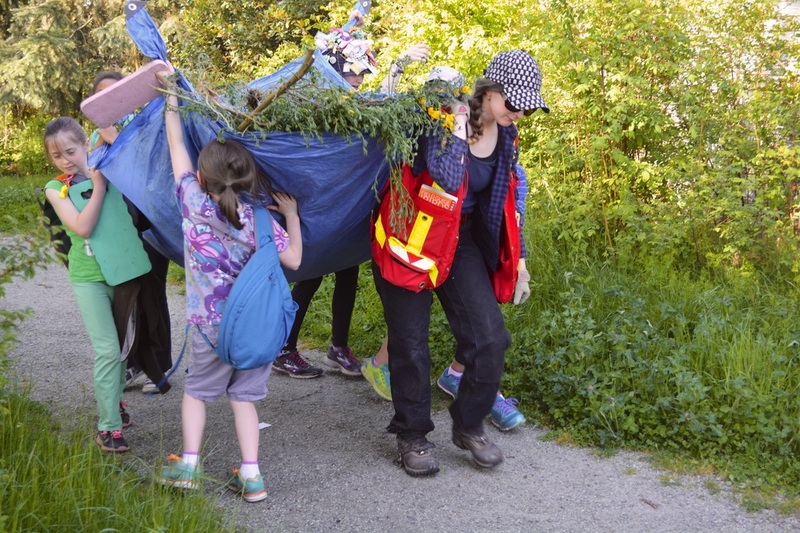 The District of North Vancouver generously provided this service to the project in-kind. 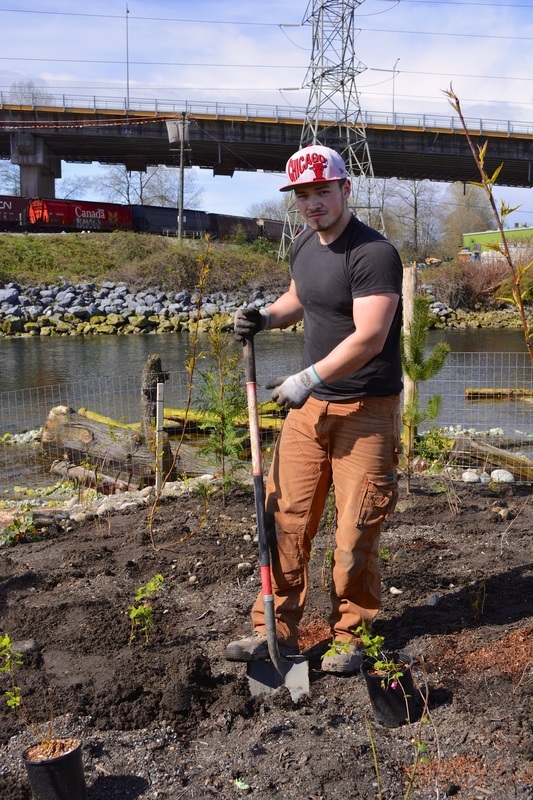 Following completion of invasive vegetation removal, native trees, shrubs and herbs were planted on site. 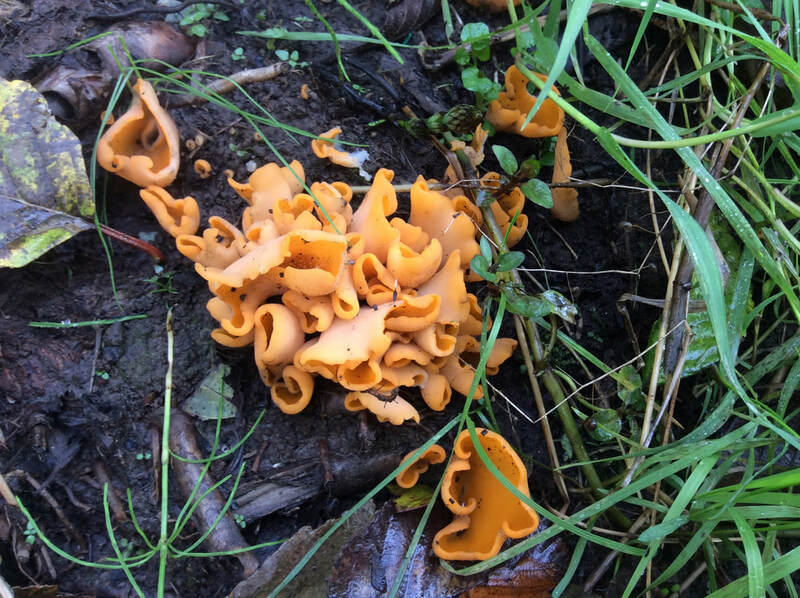 Species were selected based on site conditions such as substrate and light availability. 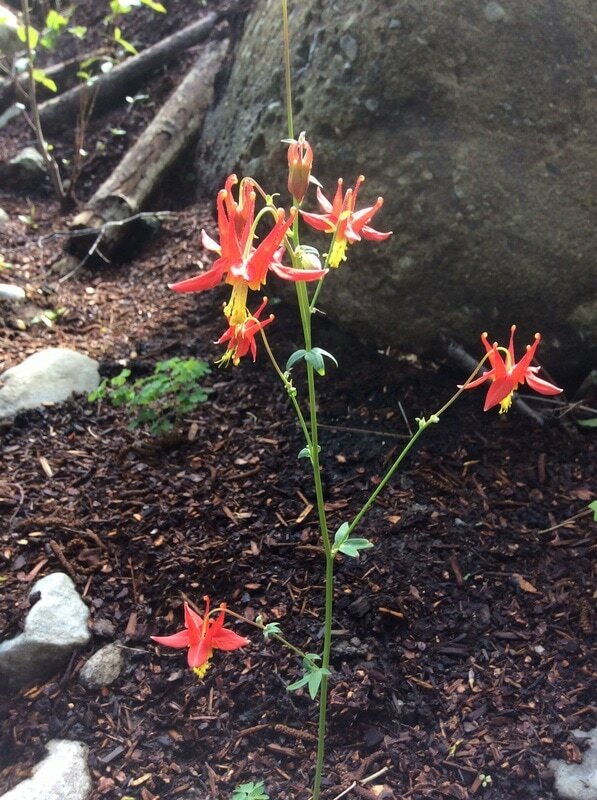 Wildlife value and cultural significance to First Nations were also considered in plant selection. 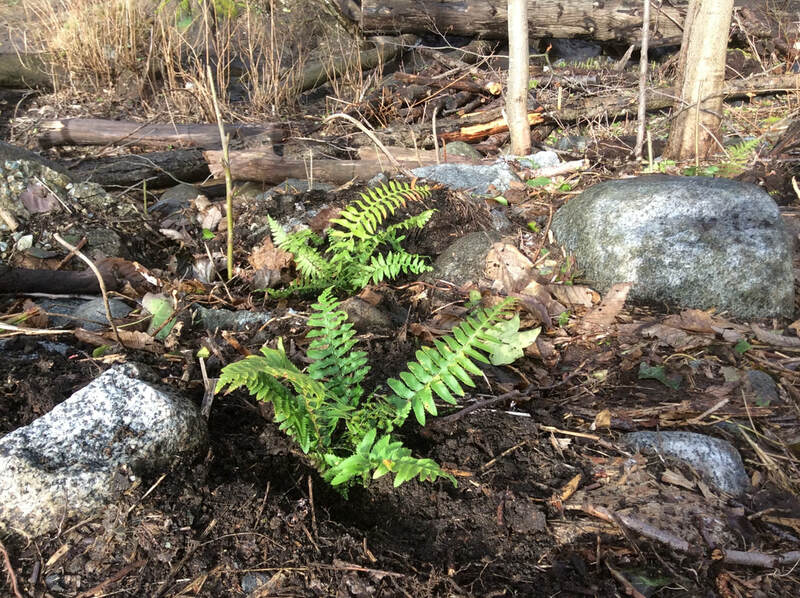 In order to increase survivability of the newly planted vegetation, a layer of soil amender (rich organic compost) was added to the site prior to planting. The soil amender was blown throughout the planting site over the course of a day to ensure consistent soil depth. 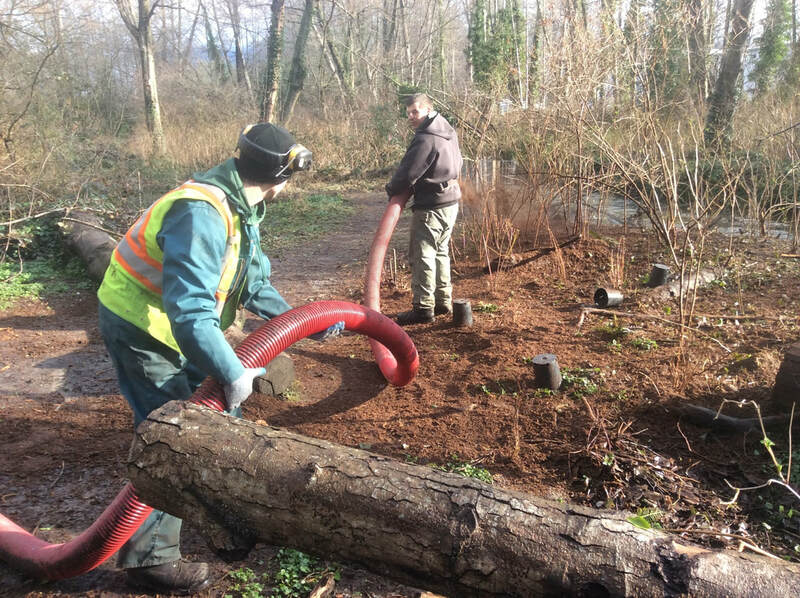 The Pacific Bark Blowers added several inches of soil amender to our project site in order to restore much needed nutrients to the soil. 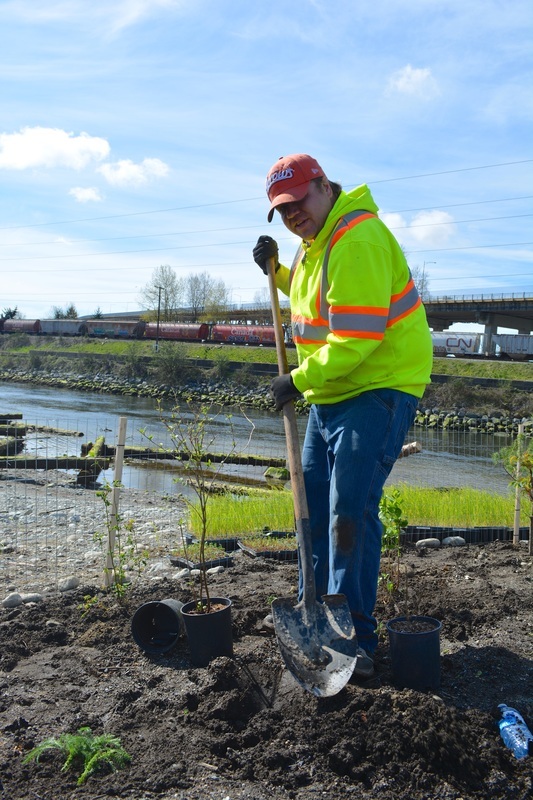 Planting the at project site occurred in two phases with one planting event occurring in October 2015 and the second planting event in March 2016. 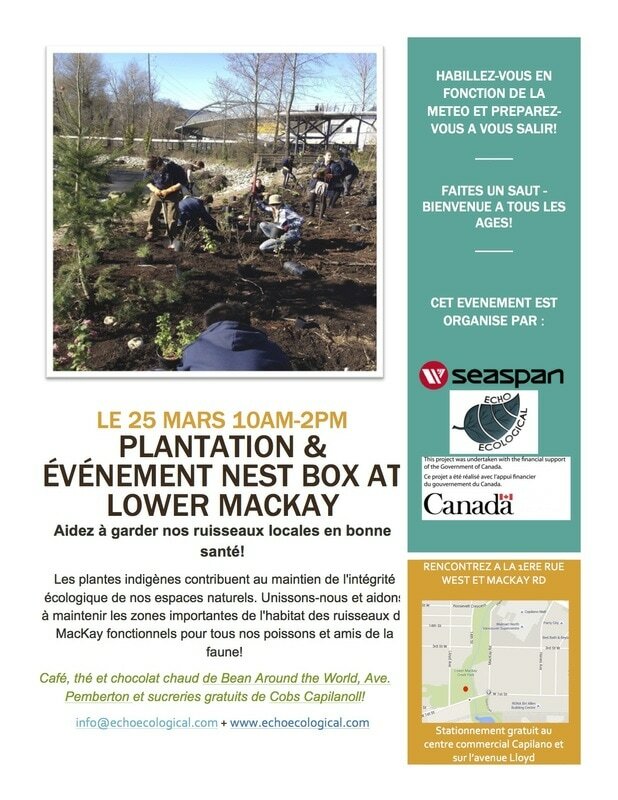 During the planting events a total of 2575 native plants were planted. 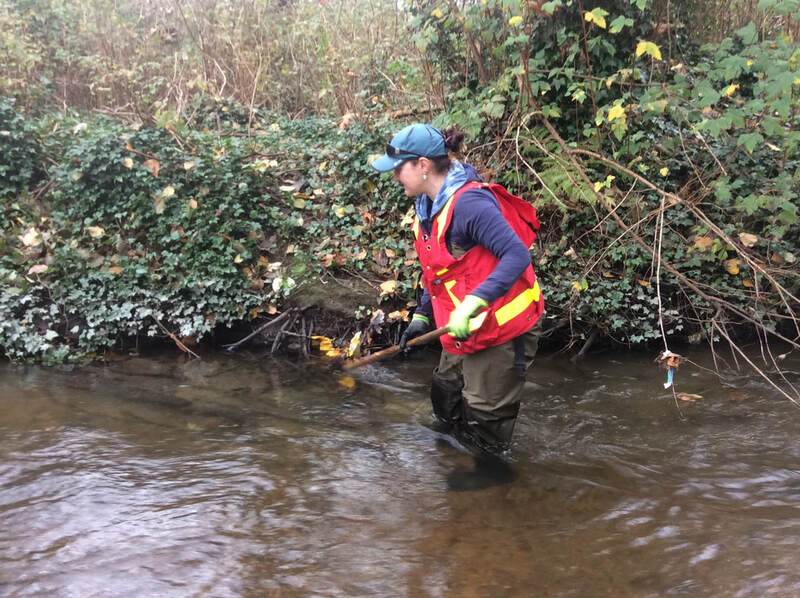 To help us with this project, many volunteers lent their time and resources in hopes of restoring MacKay Creek back to its former ecological state. 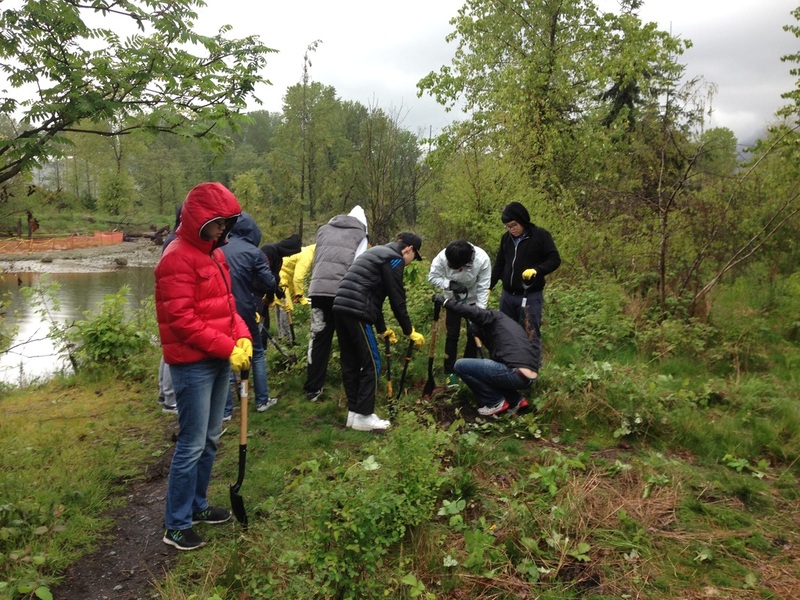 Students from Bodwell High School came out numerous times to help us battle against the invasive plants. 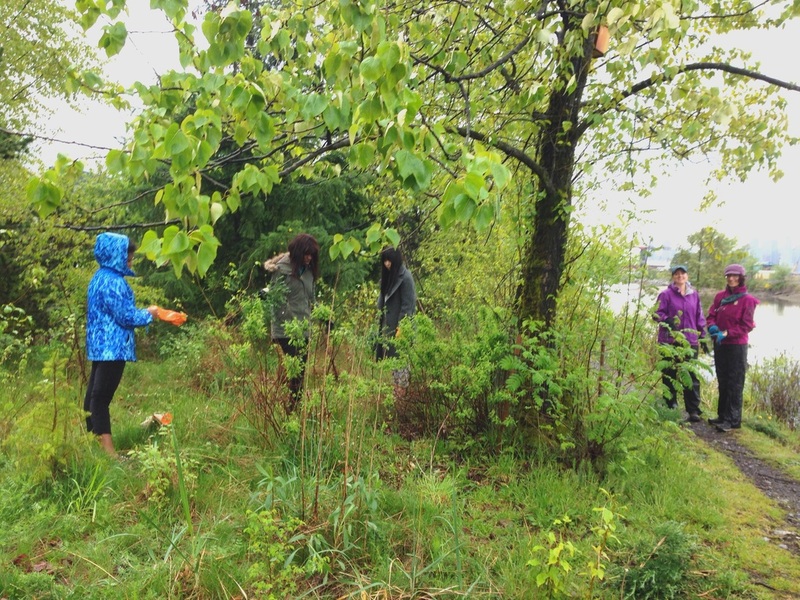 The Ecological Restoration class at BCIT volunteered for a day during the planting event, aiding with the construction of beaver cages and invasive removal. 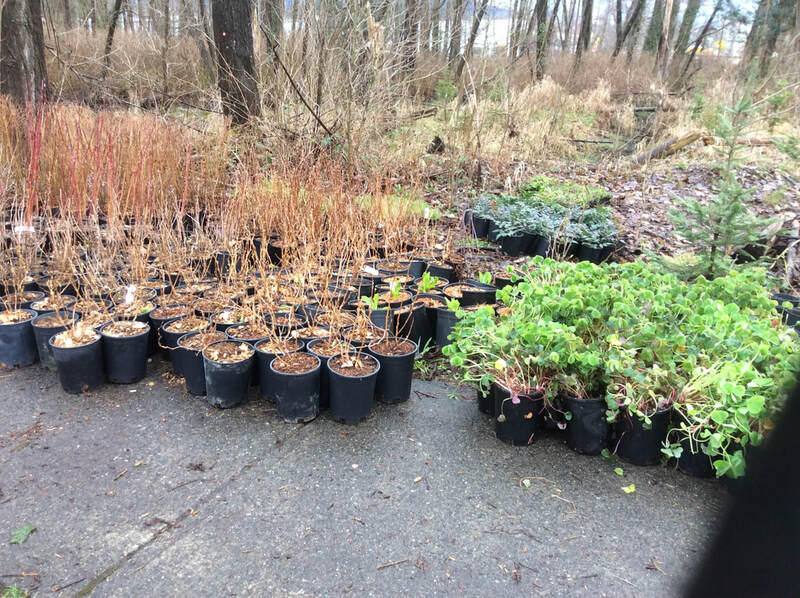 Employees from the company Lafarge helped with the spring planting by putting numerous new native plants into the ground at their new MacKay home. 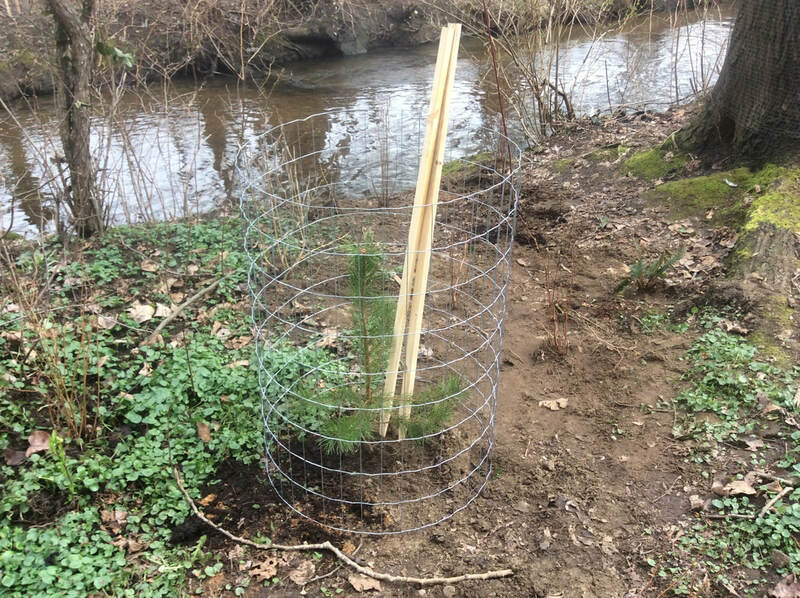 Beaver-tree exclosures made of galvanized steel fencing were constructed and placed around all newly planted trees, as well as many existing mature stream-side trees. 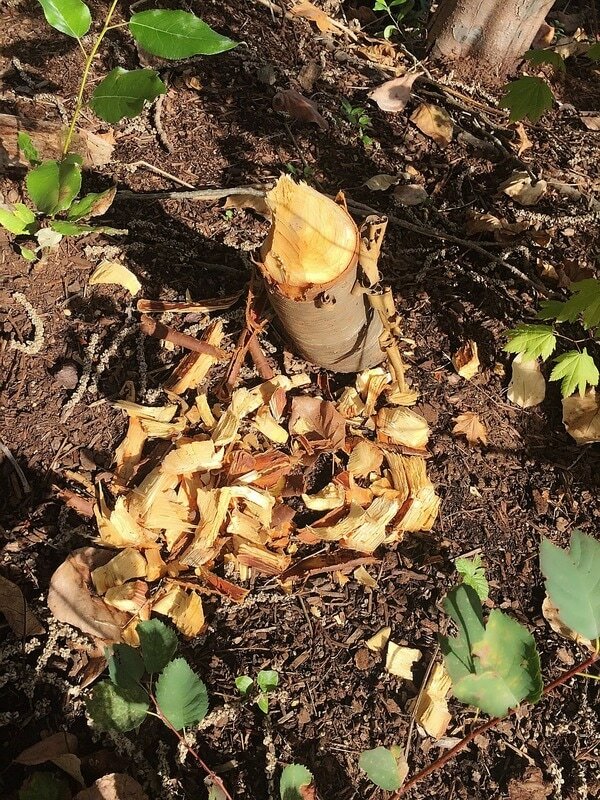 This effort was undertaken to prevent the trees from becoming a food source for the local beaver population, which has been becoming increasingly prevalent along MacKay Creek in recent years. 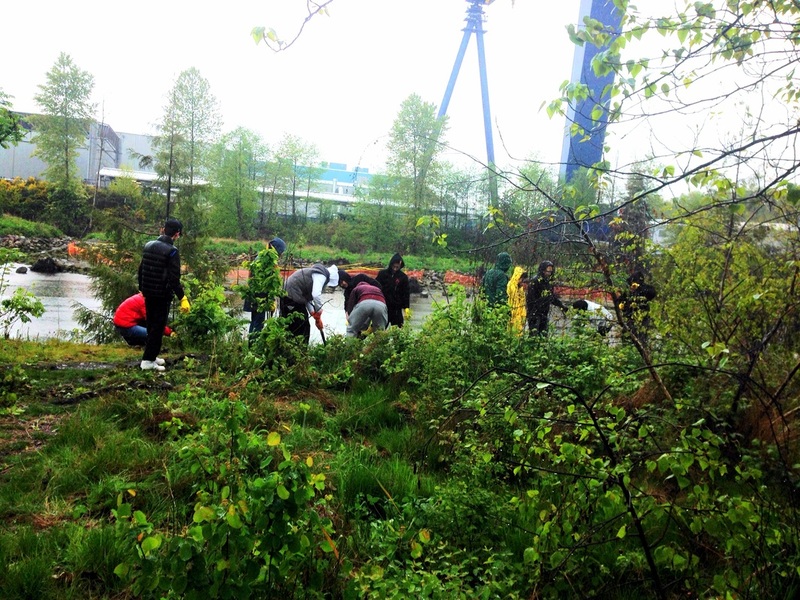 Once the exclosures were successfully installed, a mulch layer was deposited around the site as a means of preventing invasives from re-establishing. 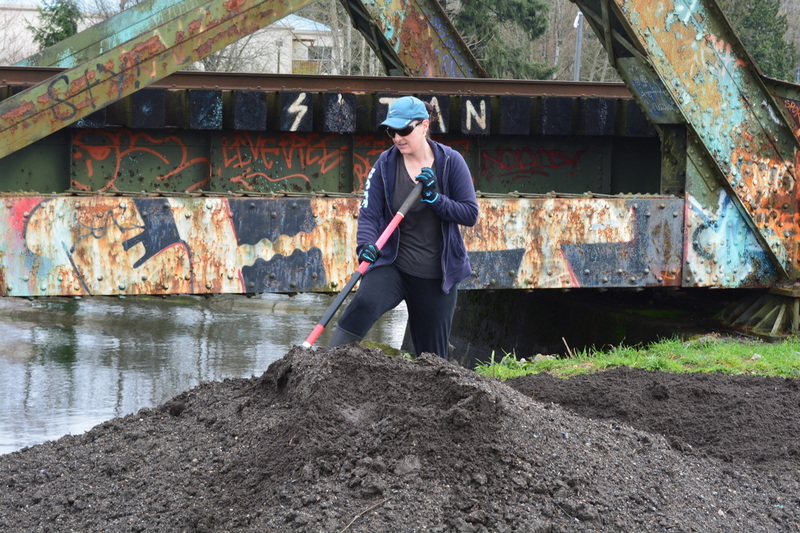 Mulch minimizes the re-growth of ​invasive plants, but also allows the soil to retain more moisture and helps moderate the ground temperature. 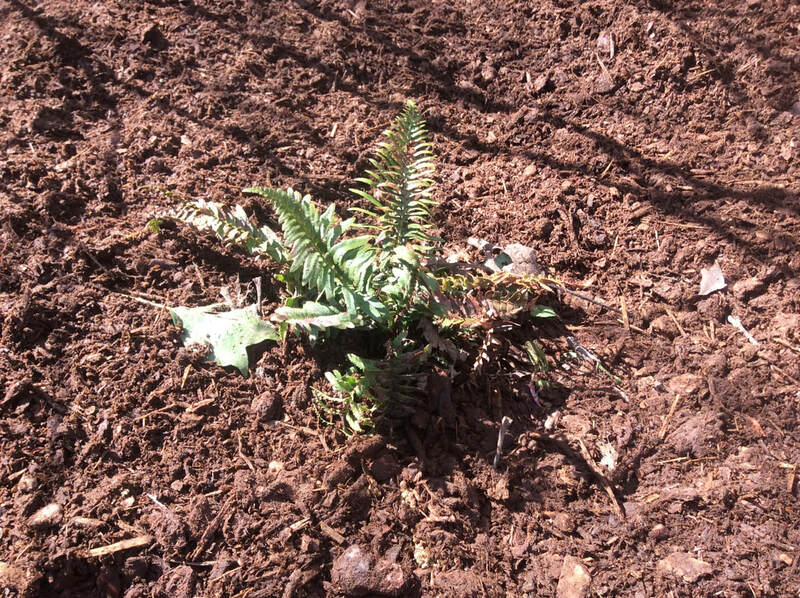 Mulch also increases the aesthetic of a planting area, as it creates a more natural look than bare soil. This project was completed between June 2015 to the end of March 2016. 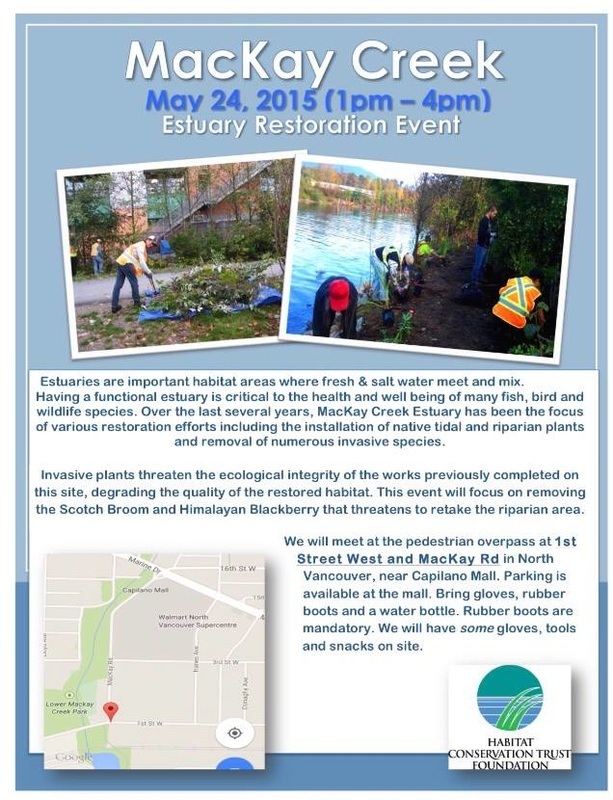 To date, the habitat enhancement activities at MacKay Creek have been a success. 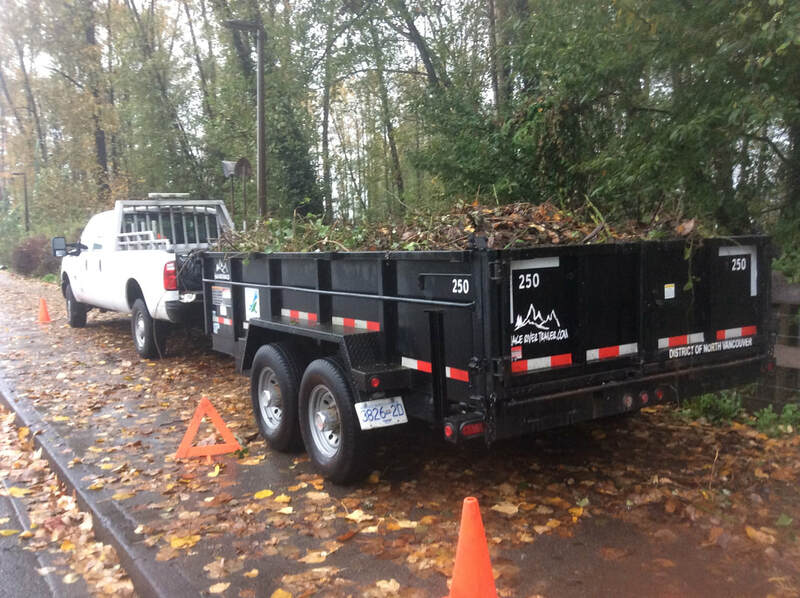 Invasive vegetation and garbage has been removed from the project area, providing a safer and healthier area for native plants, birds, wildlife and humans. 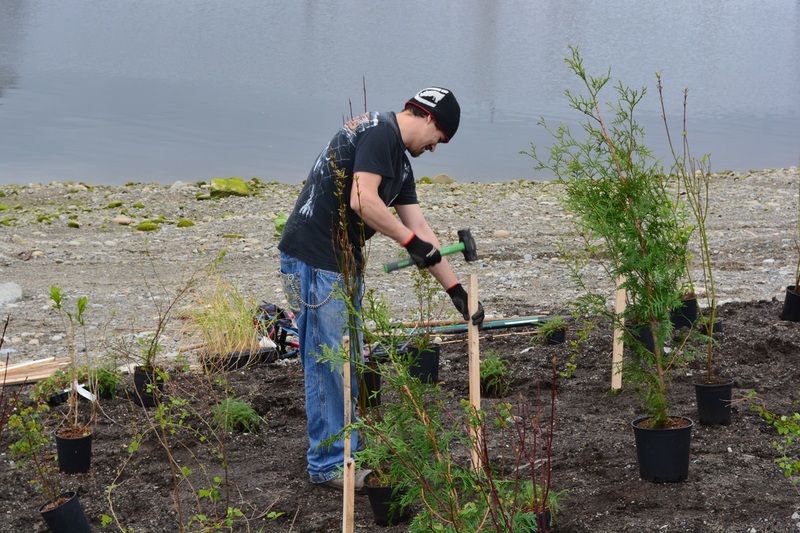 Many native plant species have been planted, further enhancing the area and improving ecosystem benefits. 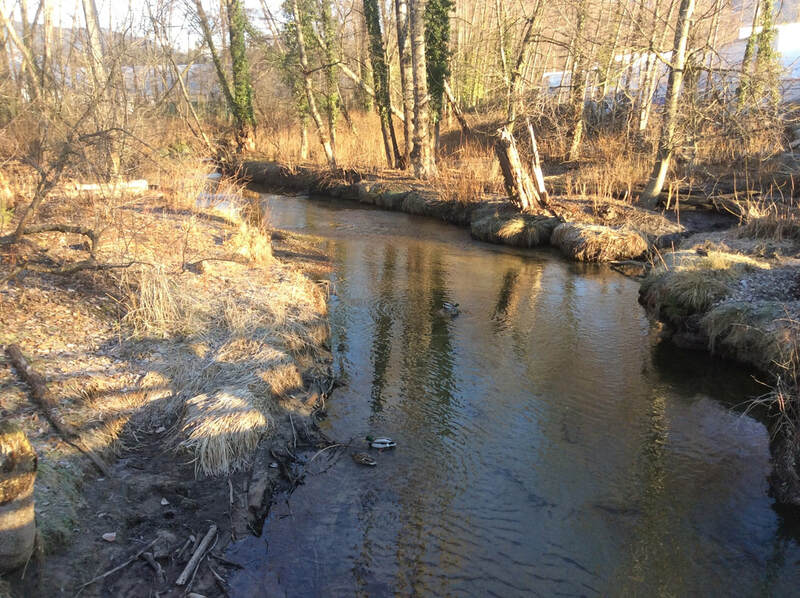 In addition to the advantages for fish populations, increased riparian health will also allow for small mammal species and numerous bird populations to have greater usage of this area. 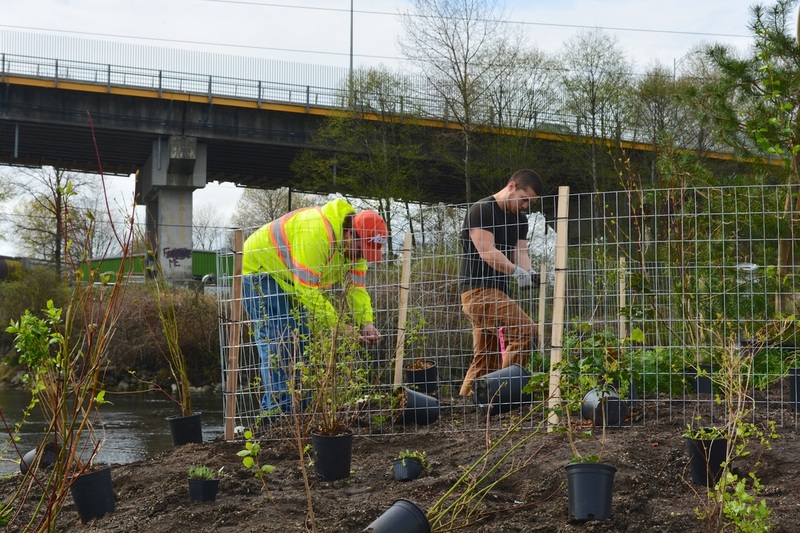 Existing and newly planted trees have been caged to protect them from beaver and human impacts, guaranteeing long-term protection and growth. 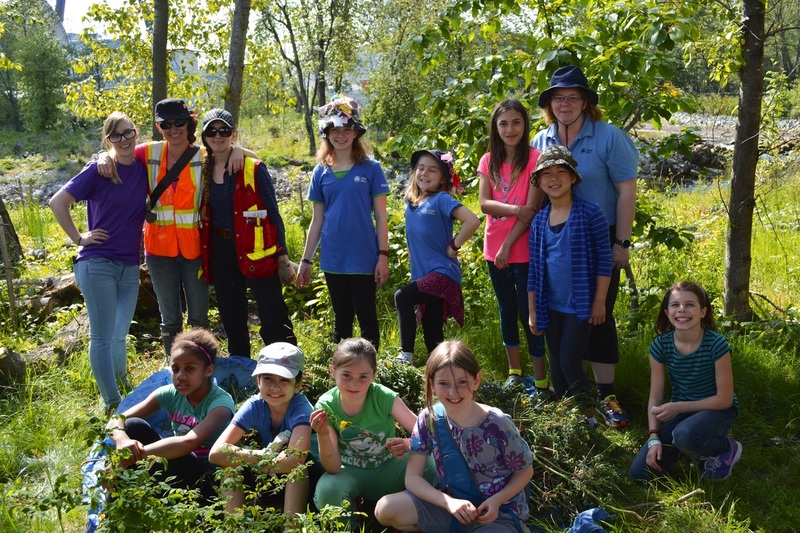 All of these activities on the creek ensure it will be a greater long-term asset to the community. 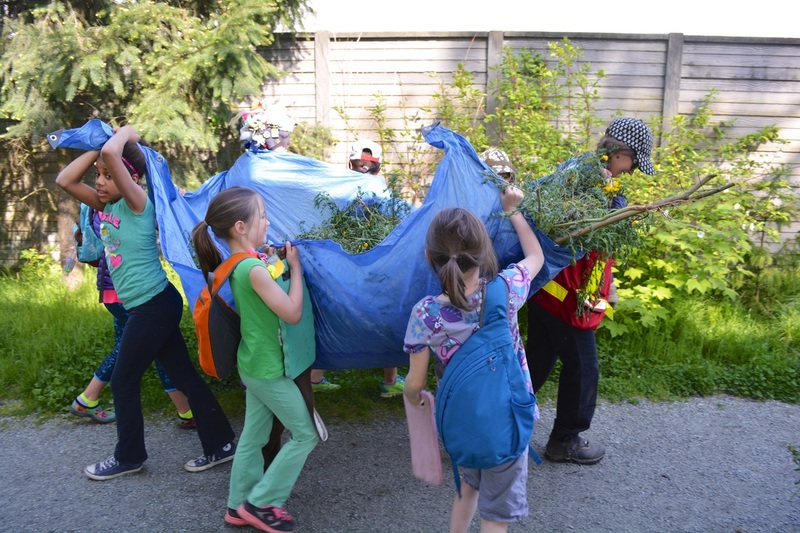 Improved ecological functioning will provide individuals with more wildlife viewing possibilities, and additional educational opportunities for years to come. 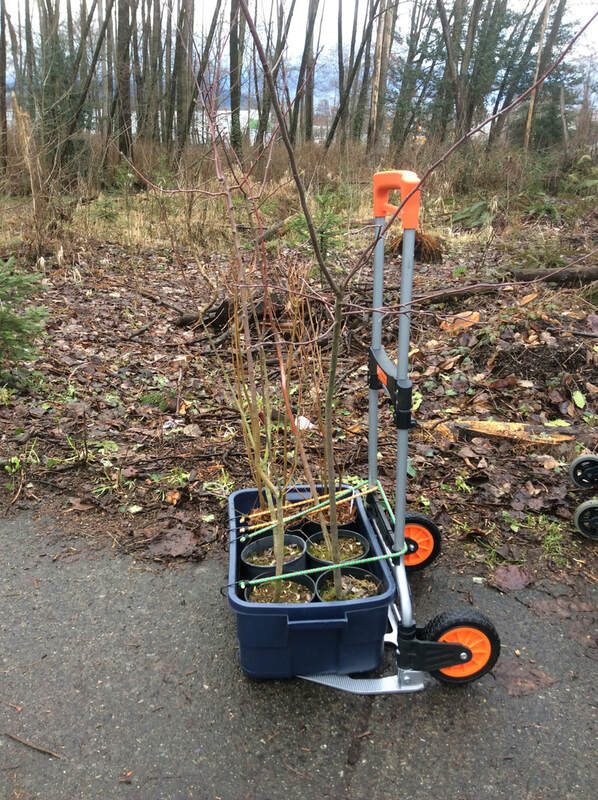 ​In future years we plan to expand the project area and continue with invasive vegetation removal and native species planting. 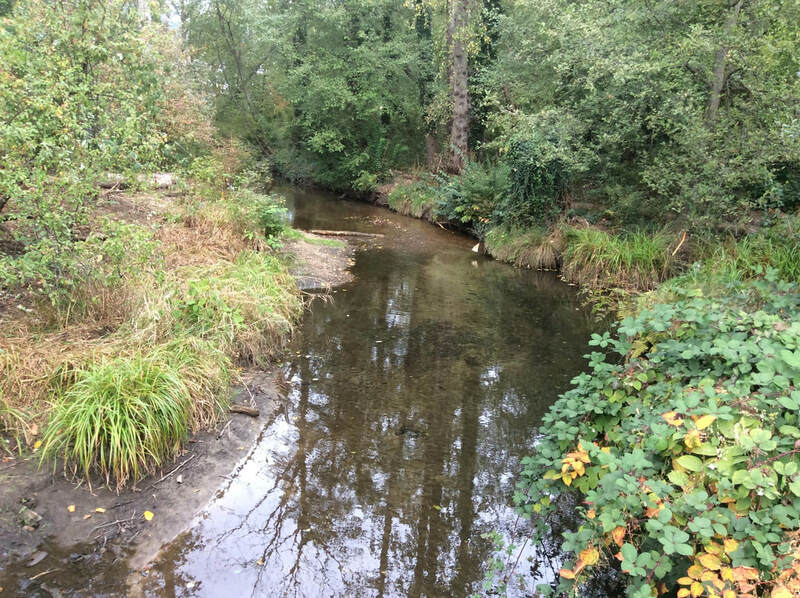 This will provide local fish, birds and wildlife with opportunities to increase their range and have greater success finding shelter, food and nesting/rearing areas. We plan to continue to organize community outreach events to inform the public on the success of the project and how they can help it continue into the future. 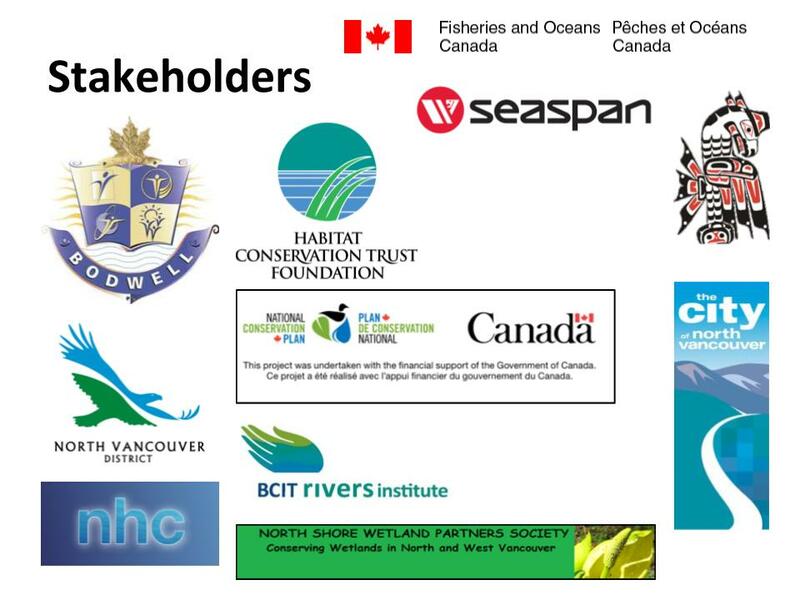 This work would not have been possible without the help of our many wonderful partners. 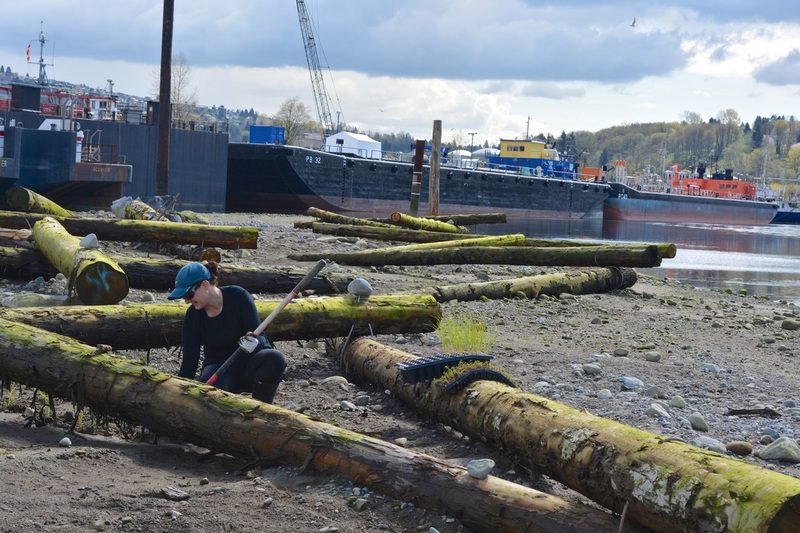 This past March, Echo Ecological has continued with the restoration efforts on Seymour Creek Estuary. 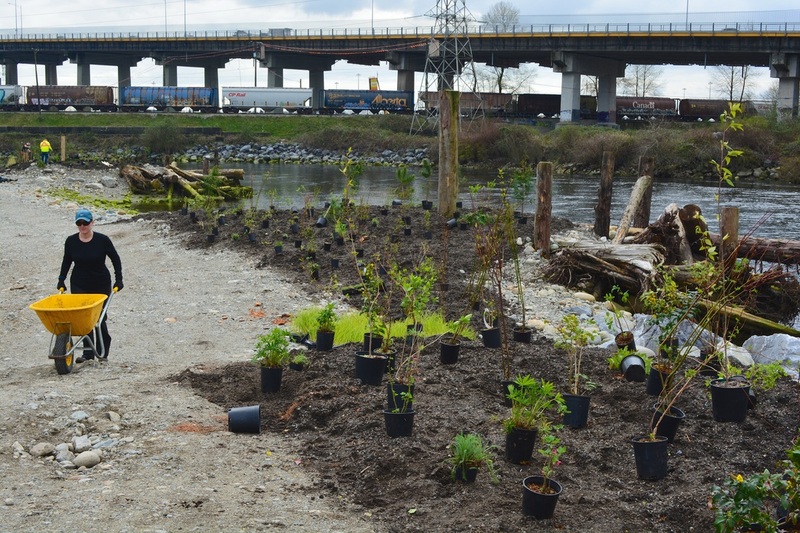 After the installation of large woody debris, we moved on to planting the riparian area along the spit of land that stretches out into the mouth of Seymour Creek. 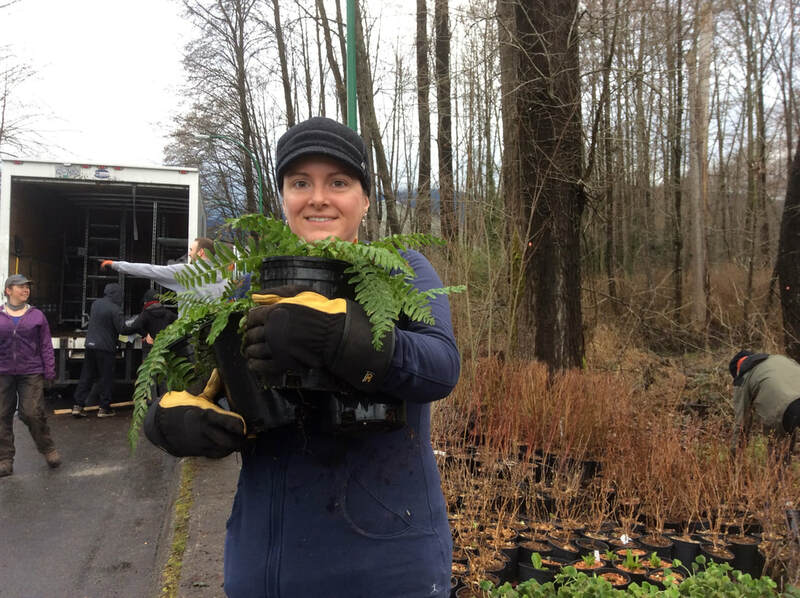 As the ground was very compacted and not ideal for planting, several large truck-loads of soil were brought in to supplement our planting efforts. The soil was divided between the three islands that make up the site and along the edges of the trail. 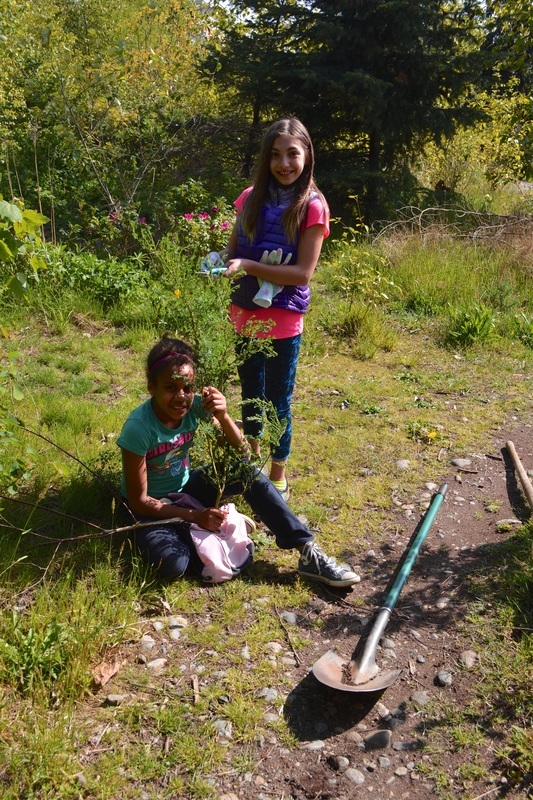 The soil was spread out to create a nice layer for all of our baby native plants. 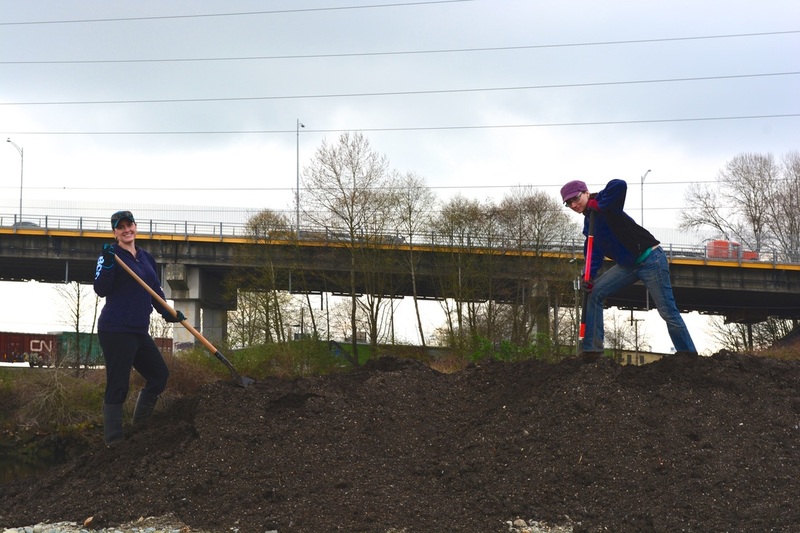 Spreading soil is very laborious work, but luckily the fruits of our efforts were well worth it in the end! 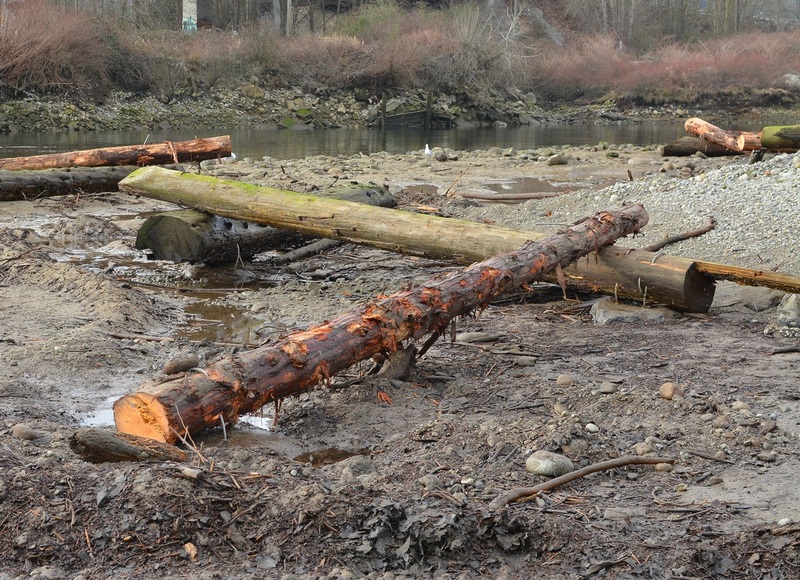 At low tide, the large log structures are easy to see. When the tide rises, the farther portions of land become completely submerged, separating the islands from each other and allowing for fish passage. 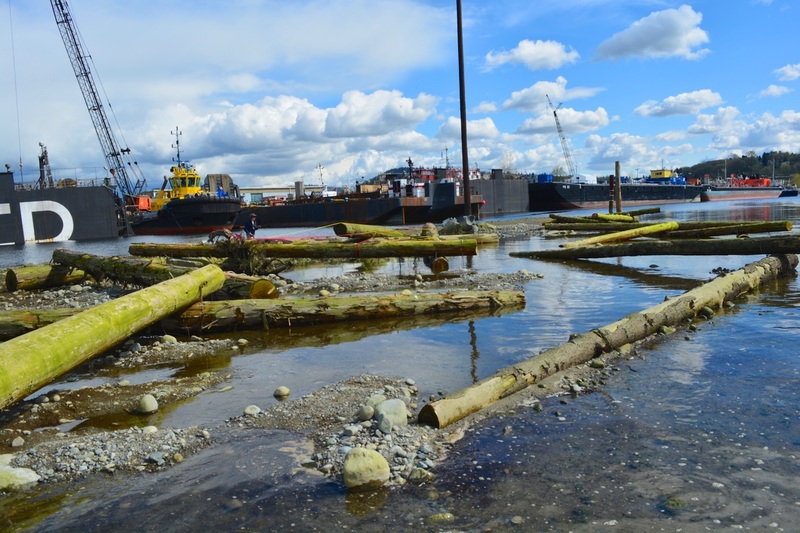 The tides played a very large role in this project as we needed to align our work hours with the lowest water levels. It would have been immensely difficult to haul soil and plants to the farther islands if they were entirely separated by water! 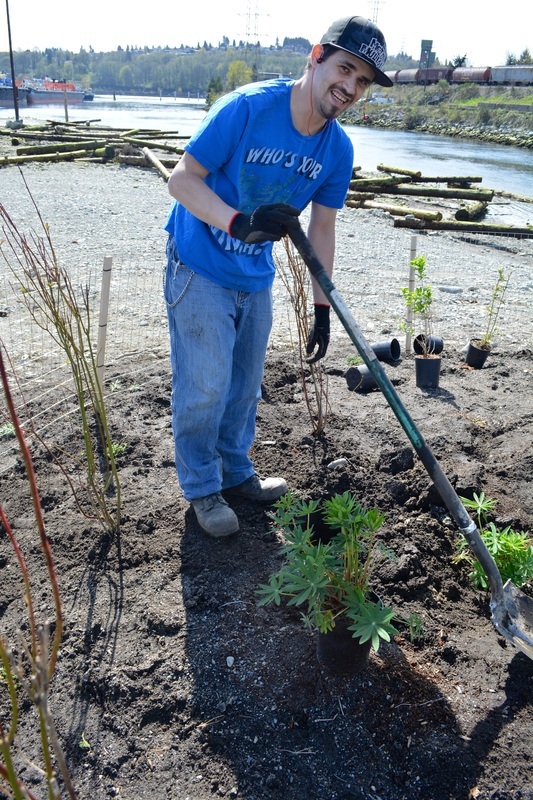 After carefully spreading out the soil in preparation for planting, we were then able to position the plants. 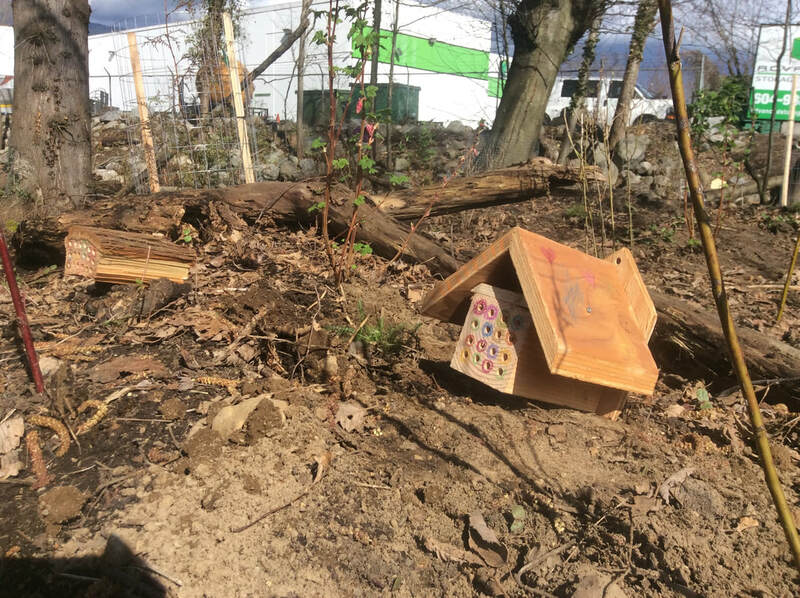 When they were all nicely situated with adequate spacing, our crew began putting them in the ground. Thank goodness we got some beautiful weather, as it made for a very enjoyable experience! 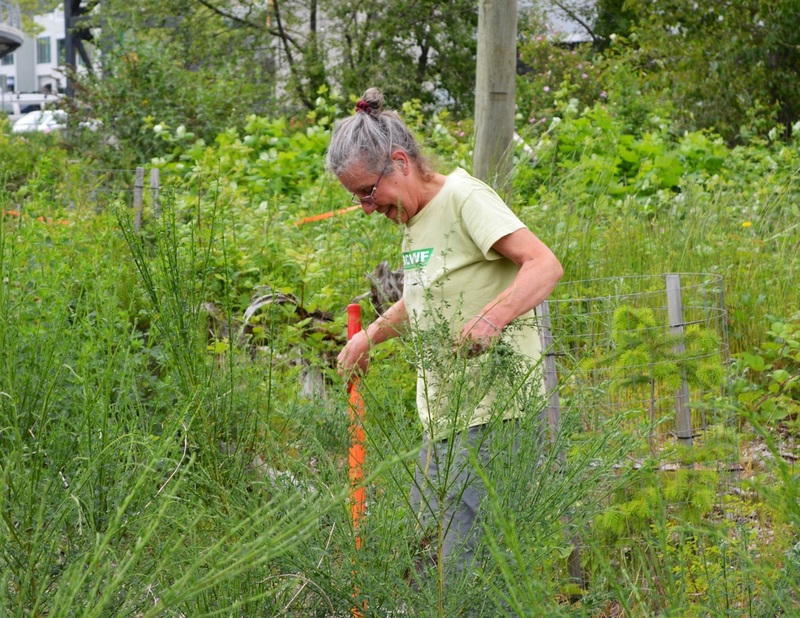 Once all the plants were in the ground, work began on the fencing. Beavers are common in the area, so we didn't want to give them the opportunity to munch on our babies before they had a chance to mature! 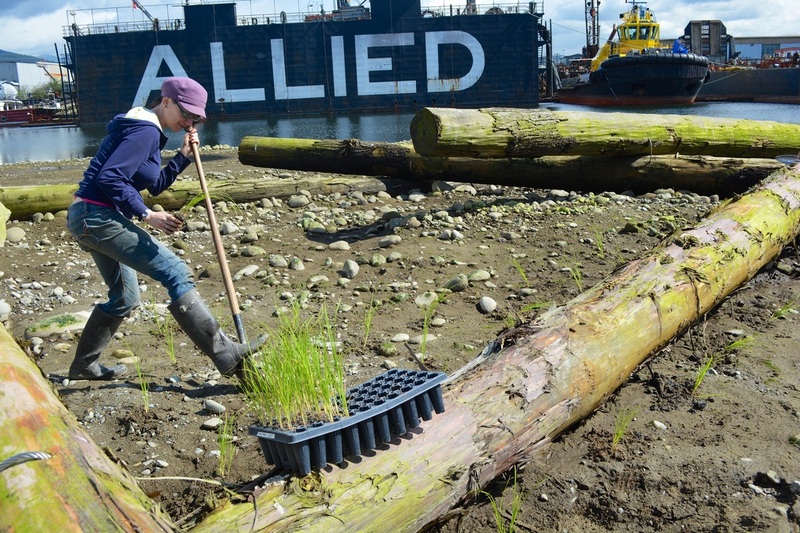 Once the riparian area was planted and fenced we set to work planting grasses into the intertidal zone. 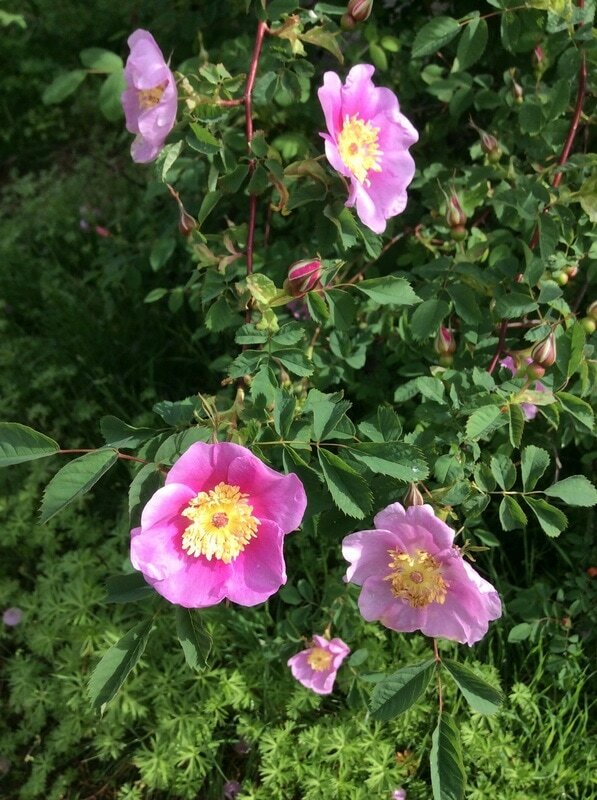 They look so lovely growing between all of the large woody debris we installed! 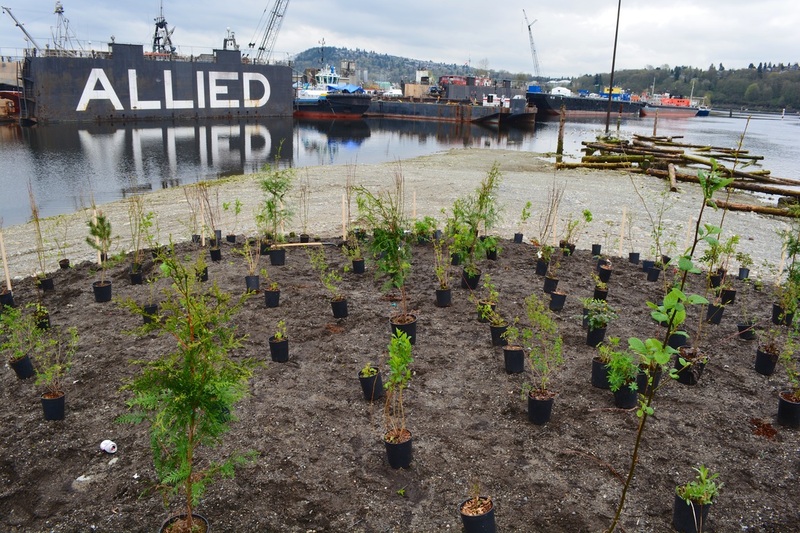 We got so carried away with planting that we didn't realize how close the tide had gotten. At one point we were really working against the clock to try and plant all of our grass plugs before we were totally submerged in the water. Never a dull moment! 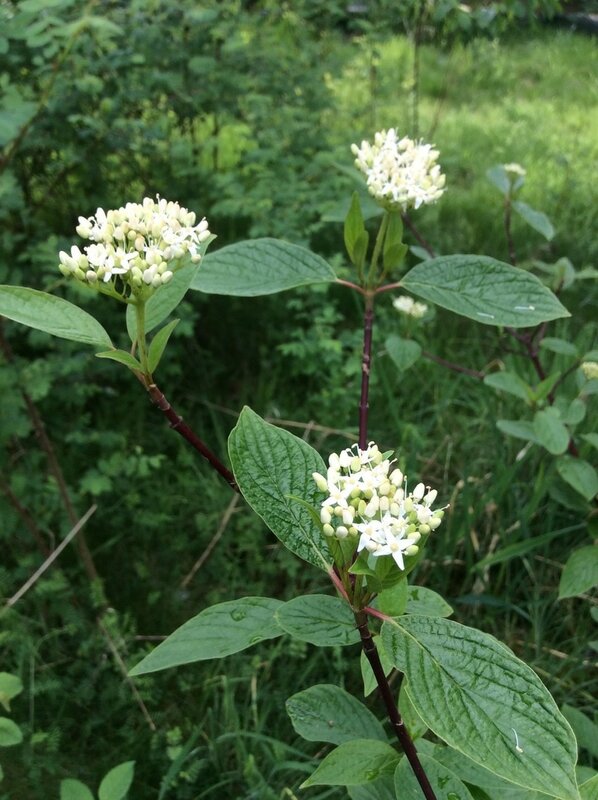 In order to reduce predation on our grasses (Geese LOVE to eat these tasty plants! 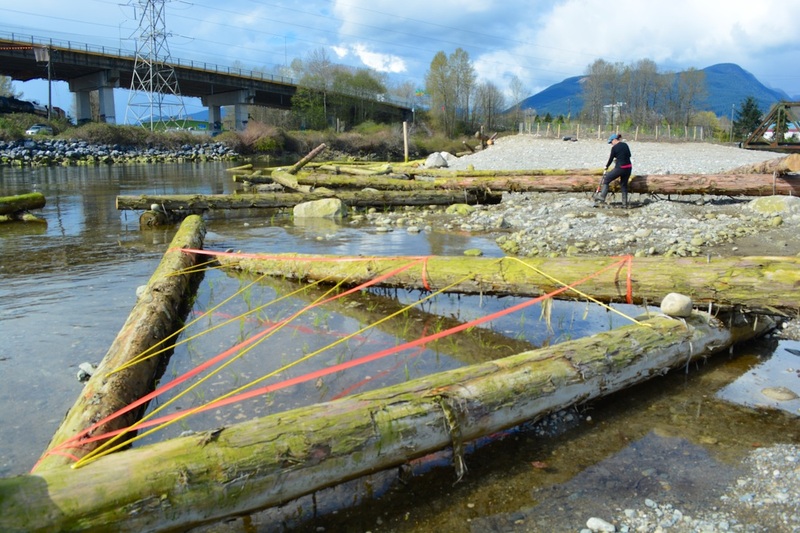 ), we constructed improvised exclosures with caution tape and rope. 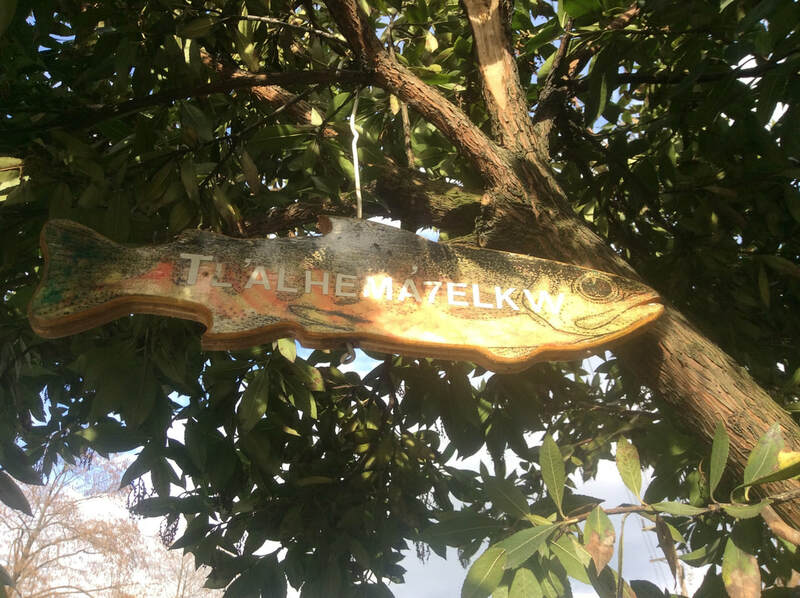 We also made use of the installed pieces of large wood. 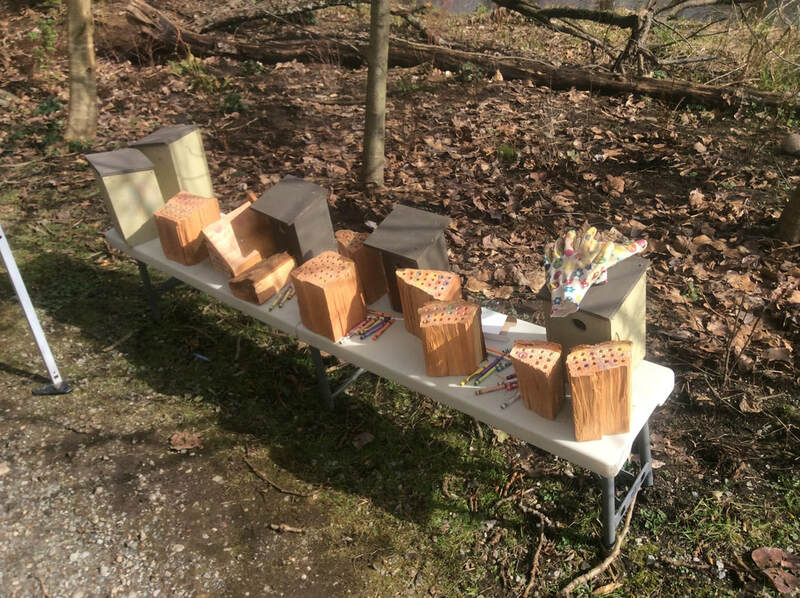 Future testing will be done in order to determine how effective these methods are in increasing plant survival. The completed project looks quite aesthetically pleasing compared to how barren the site was prior to restoration. Hopefully the surrounding community and all of the local dog walkers that frequent this site will appreciate all our hard work.